The Marcellus shale impact fee debate just got a little more complicated. 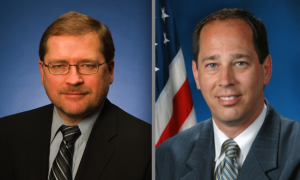 Currently four State Senators, thirty State Representatives, and Governor Corbett have signed Norquist’s pledge to never raise taxes (a complete list of the members who have signed is below). The list includes five Democrats, including staunch severance tax supporter State Rep. Bud George. Neither White nor Scarnati have signed the pledge. Scarnati introduced the impact fee in April as a $10,000 base fee per well that would generate additional revenue based on gas prices. Estimations put the impact fee at generating $76 million this year, $103 million in 2012 and $127 million in 2013. His proposal was tepidly accepted by some environmental groups, but has been generally criticized by others that say his plan falls short of holding Marcellus Shale accountable. 1) Not one penny of the impact fee is deposited into the General Fund. 2) The fee is entirely dedicated to local and statewide impacts associated directly or indirectly with gas drilling. 3) The impact fee is modeled after the municipal waste fee currently set forth in Pennsylvania law. Scarnati is hoping to revise the budget, passed by the House on Tuesday, to include the impact fee. Time will tell how much of an impact Norquist has on the impact fee. The only thing certain is that the final judge and jury in this dispute is Tom Corbett. Nicole Houck contributed to this report.